Lately we’ve heard a lot of talk about balayage and ombre, and both are definitely hot trends in hair color. Many of our clients have been asking questions about the two terms, so today we’ll talk about what they are and the differences between the two hair color trends. Balayage is a technique for highlighting hair. 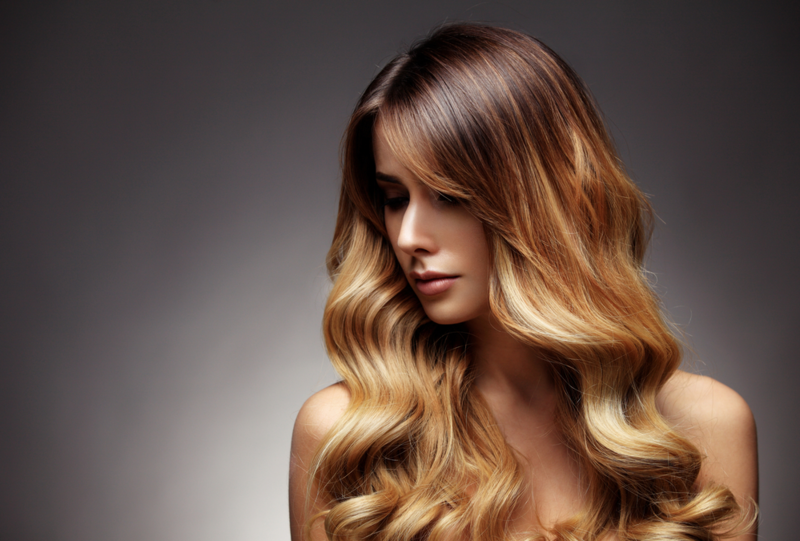 Balayage is a French word that means “to sweep,” which is the action your stylist takes when brushing on the color. Think of balayage as a freehand way to “paint” in color, mimicking the hair’s natural color differences due to sun exposure. This makes the results more natural looking than traditional highlighting because the lighter color is random instead of symmetrical. With balayage, your stylist can create a number of different looks, depending on the colors chosen. The results are natural and continue to look great even as it grows out. Ombre is a style, rather than a technique. It’s a gorgeous style and a top trend for this year. In an Ombre look, the hair transitions from darker roots to a lighter color on the ends. There’s also a reverse Ombre, which puts the light color on the top, with dark ends. These are both bold, beautiful styles that will definitely get you noticed. A subtler version of the ombre style is “sombre,” which has the same dark-to-light style but with less difference between the two colors. Because of the stark difference in colors, ombre styles usually require more maintenance than balayage and other highlighting styles. Both balayage highlights and the ombre style are at the top of the trends for this season. Want to add some color to your style? Make an appointment at Meraki Hair & Makeup Studio today. Our well-trained, professional stylists will help you choose the perfect highlights for your individual style! Find us at 1281 Arthur Kill Road in Staten Island or call 718.966.6601. Prefer to instantly schedule your own appointment? Try our mobile app, available on iTunes or Google Play.